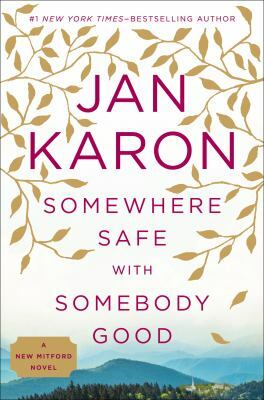 It’s been nine years since there’s been a new book by Jan Karon set in the small town of Mitford, North Carolina, but I think it’s been worth the wait. Father Tim, an Episcopal priest, first appeared in At Home in Mitford in 1994. The two most recent books featuring Father Tim and his wife Cynthia have been set in Mississippi and Ireland. Cynthia is still writing and illustrating children’s books, and Father Tim is struggling with how to find meaning in retirement. When he is asked to preach again at the Episcopal church in Mitford, it’s a tough decision. Adopted son Dooley is in college and has given a friendship ring to Lace. Dooley’s younger brother Sammy lives next door, and Tim wonders how he can reach out to the troubled teen. An unexpected opportunity to volunteer at the local bookstore one or two days per week while the pregnant owner is on bed rest gives Tim the chance to re-connect with his friends and neighbors as Christmas approaches. All of Mitford’s quirky characters make an appearance, with plenty of laughter and some tears in this heartwarming novel.